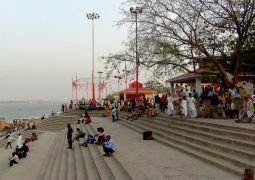 “Assi Ghat” is said to be the place where Assiriver meets the river Ganges. It is said in old text of Puranas that after slaying Shumbh-Nishumbh, goddess Durga has thrown her sword away, which has resulted in emeregence of big stream, i.e. Assiriver. 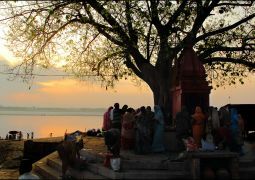 It is also said that taking a dip at confluence of Assi and Ganges (i.e. 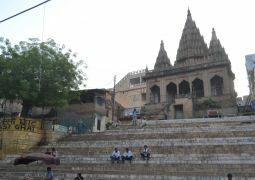 AssiGhat) can results in punyas of 100s of such dips at other holy places. 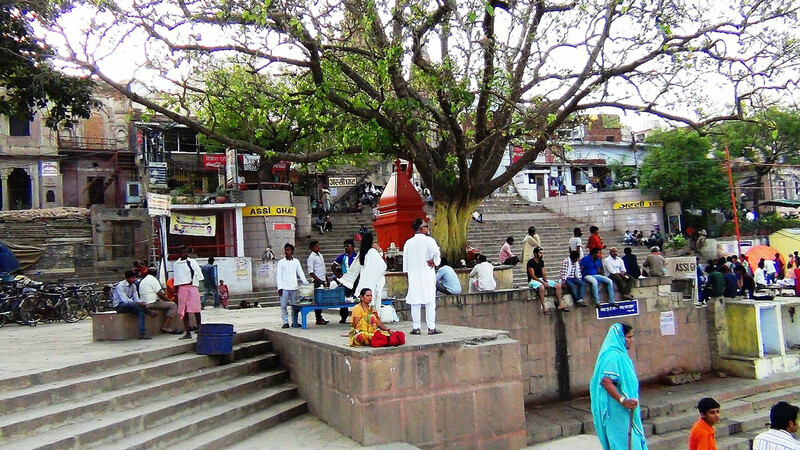 “Assi Ghat” is the southernmost ghat in Varanasi. 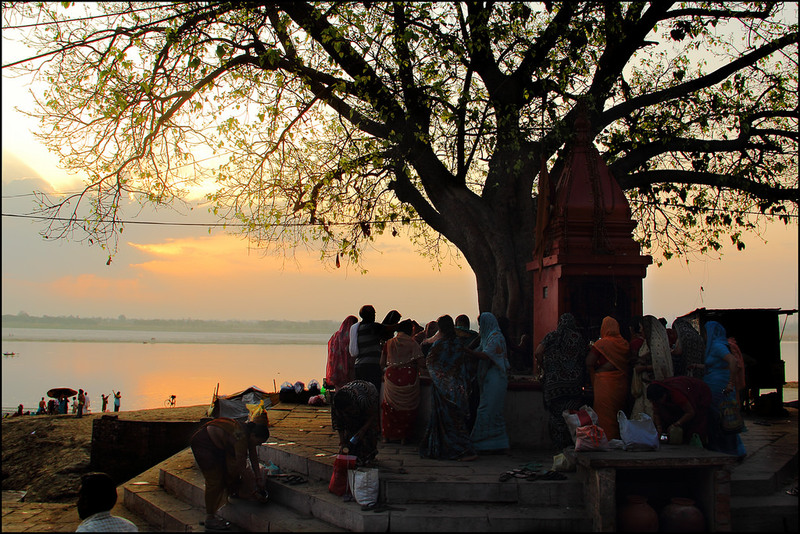 To most visitors to Varanasi, it is known for being a place where long-term foreign students, researchers, and tourists live. 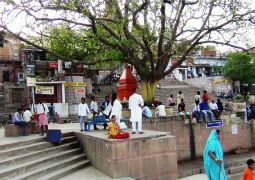 “Assi Ghat” is one of the ghats often visited for recreation and during festivals. On typical days about 300 people visit every hour in the mornings, and on festival days 2500 people arrive per hour. 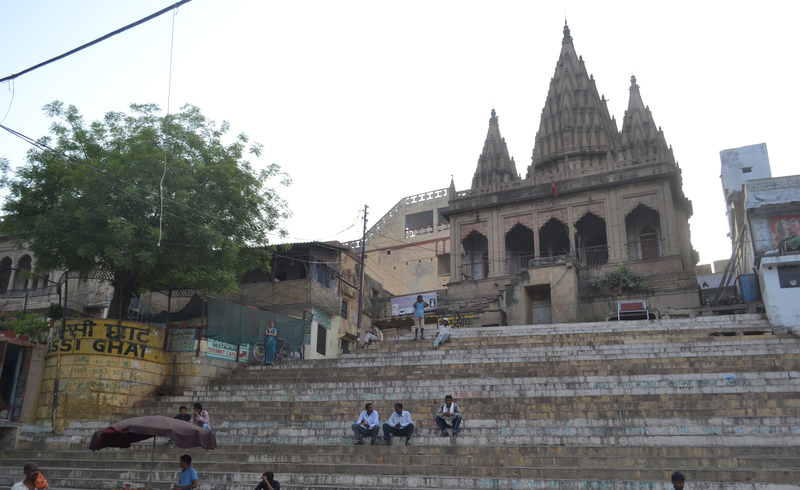 Most of the people visiting the ghat on usual days are students from the nearby Banaras Hindu University. 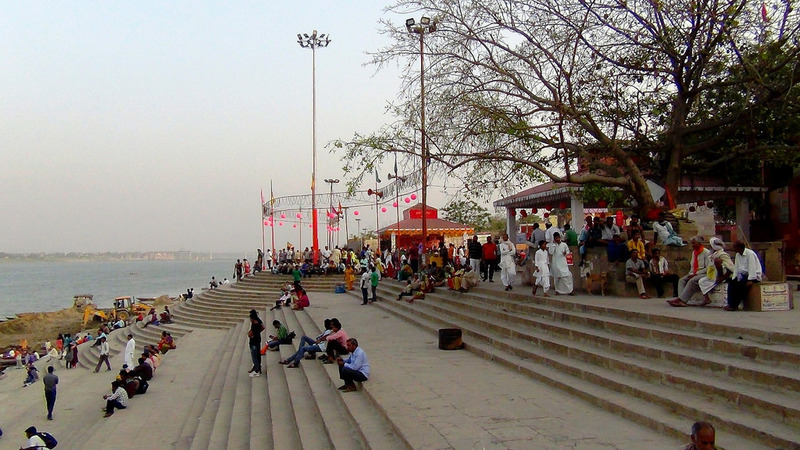 The ghat accommodates about 22,500 people at once during festivals like Shivratri.